your baby is happy and contented when picked up and held? your newborn baby will settle on your chest but not in a cot? your baby loves to be rocked and soothed to sleep? It's because your baby's brain is programmed to demand to be close to its source of food, physical and emotional safety. YOU! Your baby has been in close contact with you for 40 weeks or more and has had every need met cocooned in the safety of a human body (yours). Just because a baby is born doesn't mean it is ready to be independent, in fact, humans are very immature in comparison to other mammals when they are born. Your body has been your baby's safe haven and it will continue to be needed in a similar way for sometime to come. Women have found many practical ways to carry their babies so they can accomplish tasks and meet the needs of their children. They have tied their babies to their fronts, backs and sides so they can continue with their everyday life. Baby sleeps snuggled to your body so the risk of plagiocephaly (flat head) is reduced. 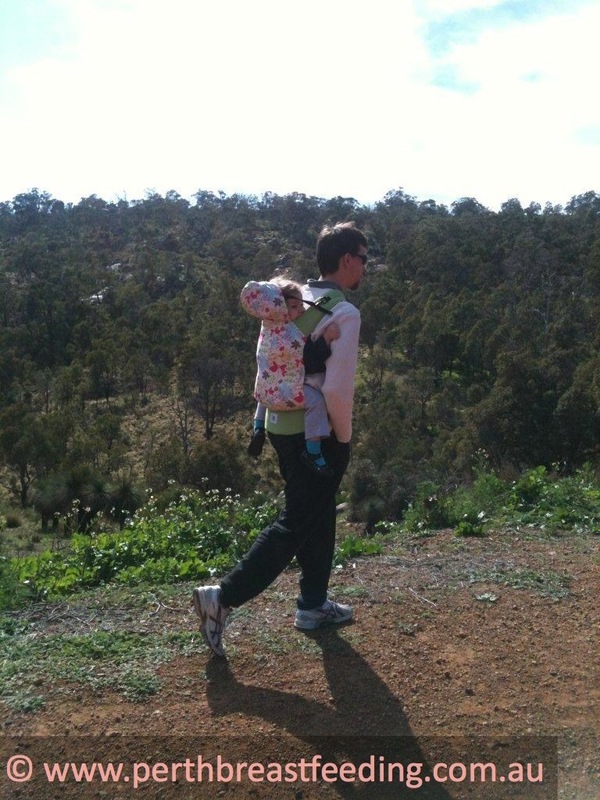 Babywearing is 'tummy time'! Many styles of baby carriers on the market can appear daunting to the new baby wearer so contacting a distributor who is knowledgeable about those that give adequate support to the baby's developing body. There are groups of women who babywear in Perth and you may like to contact them for advice and suggestions - have a look on facebook for a group near to you. Yes some commercial slings and wraps can appear expensive but they often have to cover costs of packaging, dvd instructions and distribution. However if you want to make one yourself this can be as simple as purchasing a long length of fabric (approximately 5-6 metres). Some fabrics are wide enough to make two wraps as the finished width can be approximately 50-55cm.